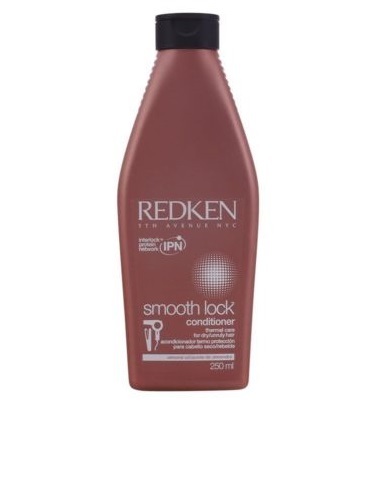 Redken Smooth Lock Conditioner detangles, smoothes and tames hair delivering nourishing shine and a long-lasting frizz-free finish to your locks. The lasting smoothness you could only dream about is now a reality. The Thermo Active Polymer in Redken Smooth Lock Conditioner retains internal moisture and strengthen hair, whilst fragrant almond oil conditions and coats the hairs surface to leave you with a silky finish and added shine. Use after shampooing with Redken Smooth Lock Shampoo. Distribute through hair and rinse.